Published: Nov. 20, 2014 at 10:55 a.m. Updated: Nov. 20, 2014 at 02:27 p.m. It's another snow day for the Buffalo Bills. Buried below an outrageous four feet of white stuff, the team on Thursday canceled practice for the second consecutive day in order to adhere to the region's driving ban. Slated to play the New York Jets on Sunday at 1 p.m. ET, the Bills on Thursday were paying civilians to help shovel out Ralph Wilson Stadium. NFL Media Insider Ian Rapoport reported Wednesday that both teams must know by Friday if kickoff will proceed as planned. The NFL also announced Thursday that it would "continue to work with the Bills and local authorities," shortly after New York Governor Andrew Cuomo called it "impractical" to play the game on Sunday as scheduled. 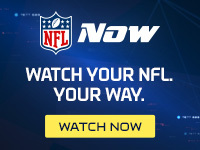 NFL vice president of football communications Michael Signora said the league is looking into possible alternatives for the game, adding public safety is the league's first priority, Rapoport reported. Bills running back Fred Jackson told NFL Media's Lindsay Rhodes on Wednesday that the team will be at a "huge disadvantage" if it can't practice. With Doug Marrone and his staff cloistered away at the team facility, coaches spent Wednesday taping segments of the game plan and distributing the information to players digitally.